Google wants its prototype self-driving cars to make human friends. 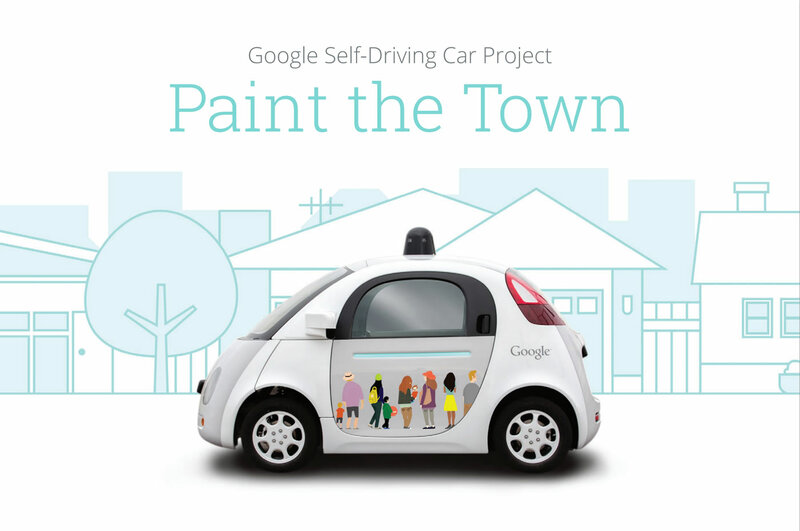 To achieve that goal, it is inviting the residents of California to participate in its Paint the Town project, and win a chance to experience its self-driving cars from up close. Led by the motto, “Help transform our self-driving cars into moving pieces of public art”, Paint the Town is a mobile-art project that invites the artistic minds of California to submit their magnum opus. Upon getting selected, only 10 chosen artworks will be featured on the car doors of Google’s self-driving prototypes “for a month” and even more. Apart from the car, the artworks will also be features on the website as well as the “Open Garage” community at this fall, where the lucky winners will get a chance to ride in the prototype. Google hasn’t revealed any further information apart from a brief overview of the project and some simple guidelines, as of yet. However, in the coming month of July, more information is expected to be released regarding the project. If you’re also interested in the project, you may check out their website for more info.